180-gram LP manufactured for pristine sound at Quality Record Pressings! 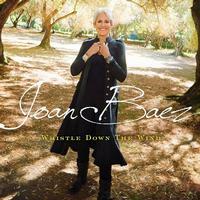 Joan Baez remains one of the most celebrated and influential artists of her generation. Her impact on successive generations of singer/songwriters and female artists in particular is wide-reaching and crosses all genres and boundaries. Fellow artists from Emmylou Harris and Bonnie Raitt to Jackson Browne, Mary Chapin Carpenter and Indigo Girls cite her as a primary influence on their own careers. A new studio album from Baez is an event that will be celebrated by the media.